From a very young age, I started to collect artifacts that speak to me. I have had a deep passion and interest in history and culture since I was in junior high school. I am particularly fond of black and white movies from the 30’s to the 60’s and I used to collect old books and poems from early on. I love the delicate covers, the artistic fonts, the sensation and the wisdom in each chapter and story. I lived in the UK for 10 years and I do feel a deep connection to that country’s history and culture. It’s like an addiction, once you have collected a few you want to complete it. As a big fan of history and culture, I want everyone to be able to find “The One” in his or her heart. It’s very personal and these items will only become rarer. 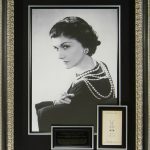 Gabrielle ‘Coco’ Chanel, because Coco Chanel herself is not only a pioneering fashion icon, she also changed the lifestyle of women, liberating us from the constraints of the “corseted silhouette”. The other reason why it is one of my favourites is because of the story behind it. Coco burned most of her personal letters and books before she died, so this makes it extremely difficult to find her signature. A short –hand-written love letter of Coco sold at auction for USD 450,000. The current signature in our memorabilia collection was obtained from a private German collector. 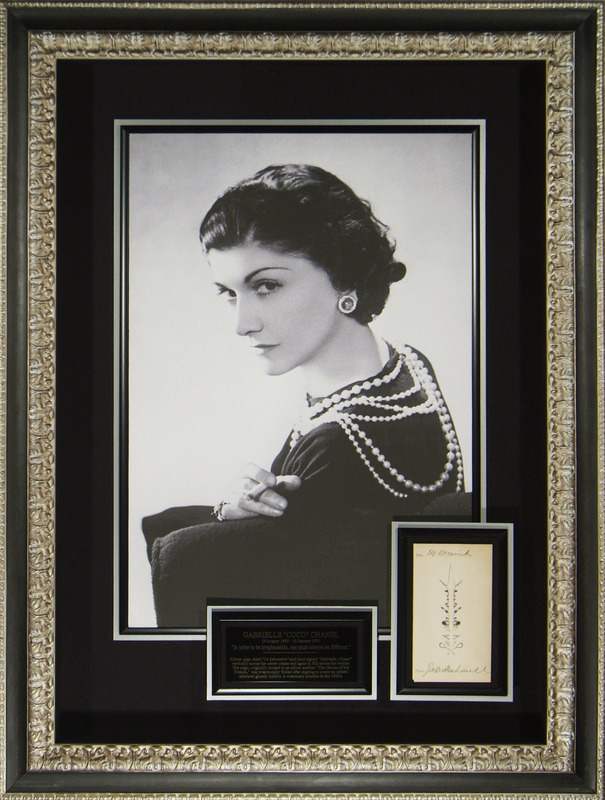 The signature was originally owned by a good friend of hers, who was invited to a home gathering of Coco. After a few drinks Coco was very relaxed and happy and she signed her signature of “Gabrielle Chanel with a fountain pen. Her friend folded the paper before the ink fully dried. It creates a beautiful flower like mirrored signature. Also the frame is hand crafted with very fine wood from Italy, which makes it even more prestigious. Another piece I like very much is Audrey Hepburn’s. I love old black and white movies and she is an icon of Hollywood’s Golden Age – an amazing actress! It’s a personal attachment to her movies that makes it very special piece to me. Definitely “The Prime Ministers of the United Kingdom Collection (1721-2016)”. It’s huge in size and the time and effort to collect such a full set of original autography is immense. The collection must be complete, you just can’t miss one in between. The collection has already been showcased in New York, London and Dubai. I chose Hong Kong as the first venue in East Asia because Hong Kong itself is very cosmopolitan. 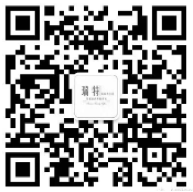 It has large numbers of Chinese, Asian, American and European visitors and the collectors here are much more sophisticated. It’s the obvious place to start.